The D2 Organization is noted for being at the cutting edge of new and innovative residential community development concepts. Our resourceful organization actively searches out and identifies unique sites and development opportunities throughout the Mid-Atlantic region. Through extensive market research and a constant focus on today’s changing demographics and lifestyles, D2’s imaginative ideas are transformed into communities where demand is the highest. D2’s dedicated professionals have over 75 years of combined residential development, home building, civil engineering, entitlement, land planning and landscape architecture experience. Our team is often found walking the neighborhoods and engaging with the populace to discover the pulse of the communities’ needs and desires. Our understanding of markets and our proactive approach in working with municipalities allows us to navigate through the approvals process efficiently and expeditiously. We identify the key financial metrics related to each project and use our capital markets expertise to structure the profitability of each investment. At D2, we understand that it takes much more than a group of houses to make a community. Homeowners, builders, landowners, and public officials have come to recognize that D2 is a company that truly cares about the livability, desirability, and environmental quality of its communities. In the past two years alone, D2 has developed and sold 275 acres totaling 750 lots within 5 distinct communities. 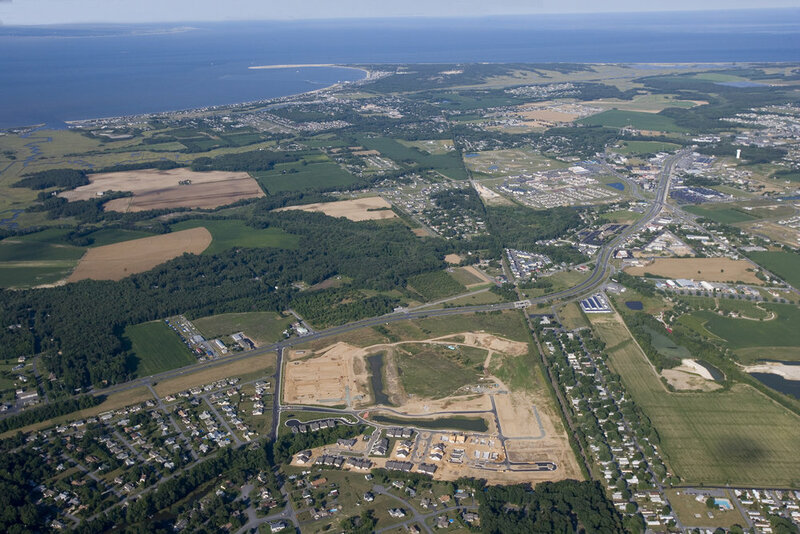 A sampling of the projects, which are located along Delaware’s coast, have earned D2 recognition as the preeminent land developer of high quality residential communities in the Rehoboth and Bethany Beach regions of Delaware. D2 has successfully partnered with homebuilders including Insight Homes, K. Hovnanian Homes, McKee Homes, and Toll Brothers for the execution and sale of residential master planned communities. Sunset Harbor offers high end waterfront living with 87 semi-custom single family homes on three finger peninsulas in Oceanview, Delaware. The D2 Organization completed the sale of 269 approved single-family home lots to K.Hovnanian Homes. K.Hovnanian Homes will develop the lots, located in Lewes, DE, into a community to be named the Four Seasons at Belle Terre Farms. The Grove is a 61-unit town home development located on Fenwick Island, DE. The brand new town homes are designed for elegant and easy Delaware beach living.